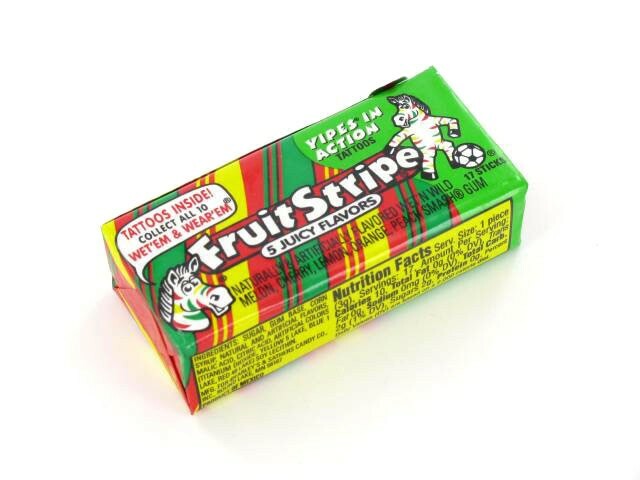 When I was a kid, I was crazy for Fruit Stripe gum. A photo brings the Fruit Stripe taste back to me instantly. Click to purchase at Candy Warehouse. 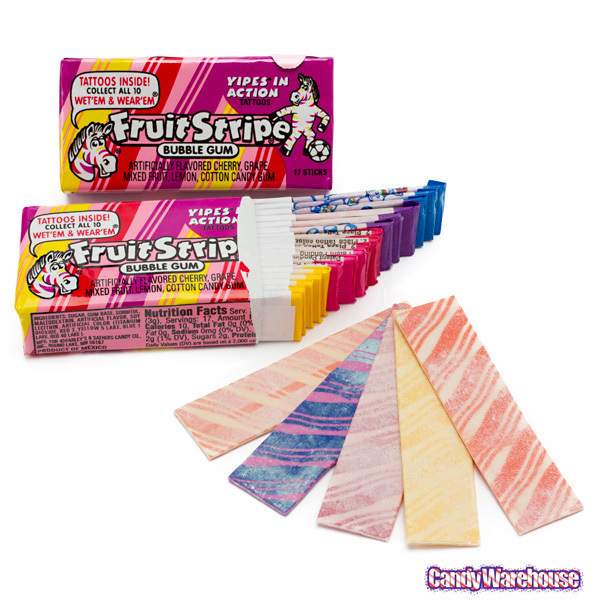 The taste leaves me just as quickly, which makes the whole experience totally realistic because Fruit Stripe gum has only about five seconds of flavor in it. 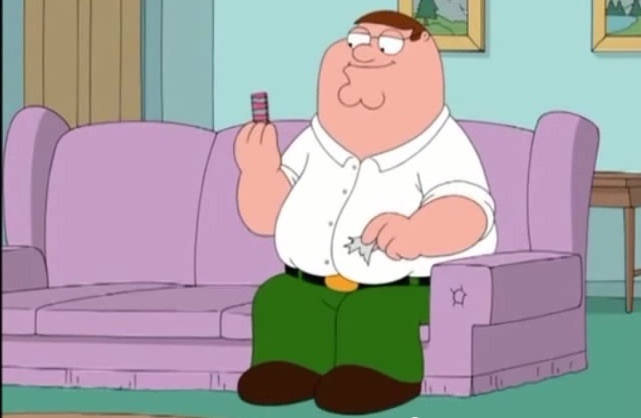 The disappointment of Fruit Stripe gum is so well-known that it was immortalized on Family Guy. In a fit of nostalgia, I got a pack a few years ago. I really enjoyed the minute I spent chewing through all 12 sticks. 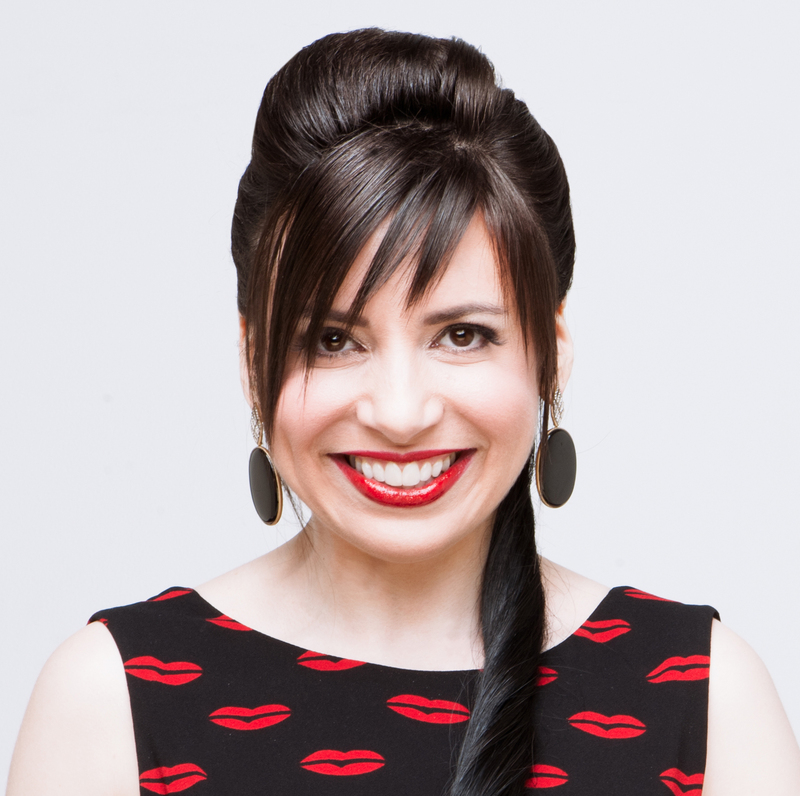 Believe it or not, I was thinking about Fruit Stripe gum because I wore a couple of striped dresses recently. Yep! Dress stripes = gum stripes in my mind. The first dress — which I wore to have dinner with my parents — was the one from Prada that was absolutely everywhere in 2011. I love this dress for the colors and the fit, but also because it reminds me of that silly old saw about buying “timeless basics.” Fie on timeless basics! I got an overexposed, very distinctive dress and four years later, I still feel great in it. If any fashion police types have seen me and thought, “Oh my God, that’s that old dress that I saw on Gwen Stefani!” they’ve never said it to my face. And if they did, I’d say, “I know, isn’t it awesome?” I don’t see how this design would have been better in a safe, solid black. I wore the second striped dress to my anniversary dinner with MrB. We highly recommend the raw bar at Aquagrill. Mix of East coast and West coast. My favorite one was the fourth from the left. After dinner, I posed in the nearby subway station, as one does. I think I’ve had this dress since about 2005. 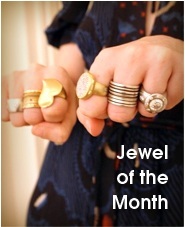 I’m not sure because, although I’ve worn it many times, there are few photos of it. I think these are the only two: one from 2010 and one from 2014. I thought I was being creative when I decided to go with white shoes instead of black, but now I see that I accessorized the exact same way last year. 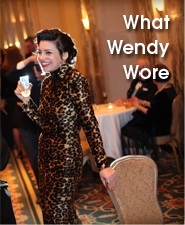 I never was very interested in wardrobe “remixing”! If something works for me, I’ll stick with it forever. still wish I had gotten the Prada dress. One of her best collections. Yes, over all, that was a great collection! I totally remember the disappointment of Zebra gum. 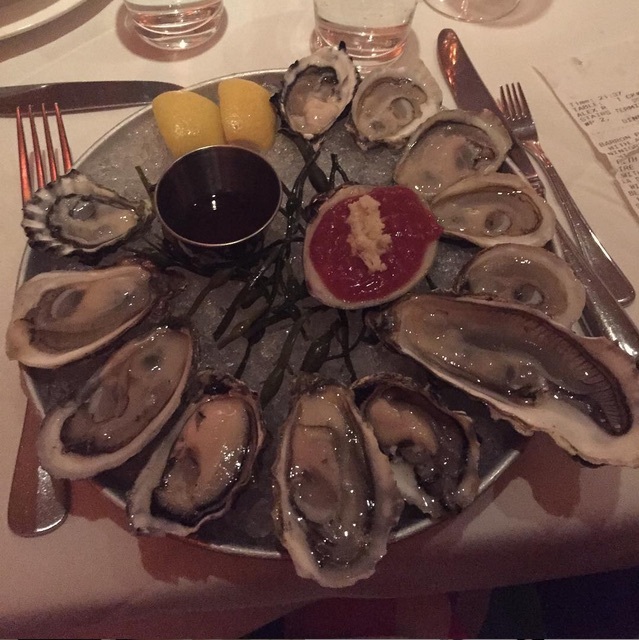 You need to come to Seattle for our oysters!